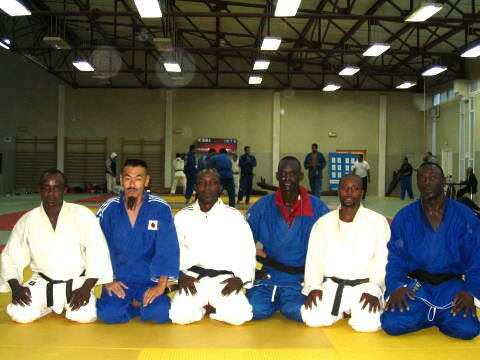 Tanzania Judo Team participate for 25th Africa Judo Championships which was hold on 3---10/May/2004 in Tunis and it was the last qualification of Olympic Athens 2004. It was very high level Judo tournament because all of participators tried so serious for getting points for qualifying Olympic. The opponent was good Judoka and he had Shime-waza. Hamadi also could fight well and defenced for his Seoni-nage. But the last moment he could not defense from the Shime-waza. The opponent of Cote d ivoire got the 3rd win in this competition. 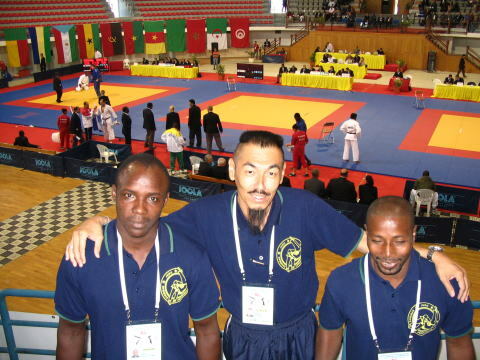 *His opponent was Niger who fought with Ali in All Africa Games in Nigeria. In that time Ali got win for Ippon (Uchimata). 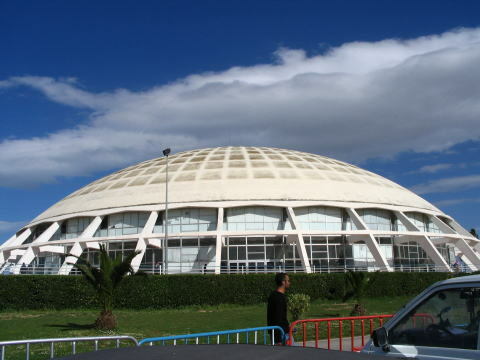 *But Ali could not compete well in Tunis, he just waited the timing for getting Uchimata, but he lost Sido 3times( same like Wazaari),　and the last moment the opponent did small technique, and the judge took Wazaari and game was over. 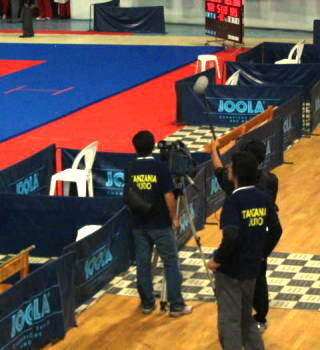 It was telecasted by Japanese TV. We trained togethre with Kenya Team at training venue.